Commercial Rubber is a good general purpose rubber material where oil and heat resistance is not required. This rubber has good mechanical qualities and has a medium level of weather resistance. Commercial Rubber offers good levels of resilience and elastic qualities and is fair to good in its contact with acids and alkalis..
With a temperature range of -20° + 85°C and excellent physical properties Commercial rubber is the most frequently used rubber in everyday usages. Neoprene Rubber offers excellent resistance to weathering, ageing, animal and vegetable oils, salts and ozone, Neoprene has good tear and impact properties. Neoprene has a temperature range of -30⁰ + 80⁰C. Nitrile Rubber has excellent resistance to most petroleum based products, oils, solvents and greases. Nitrile sheet rubber is often used in the manufacture of gaskets due to its excellent resistance to oil, with good mechanical properties and excellent levels of performance in contact with acids and alkalis, available in white and blue for the food industry. Nitrile Rubber has a moderate level of weather and heat resistance, temperature range is -20° + 80 °C. 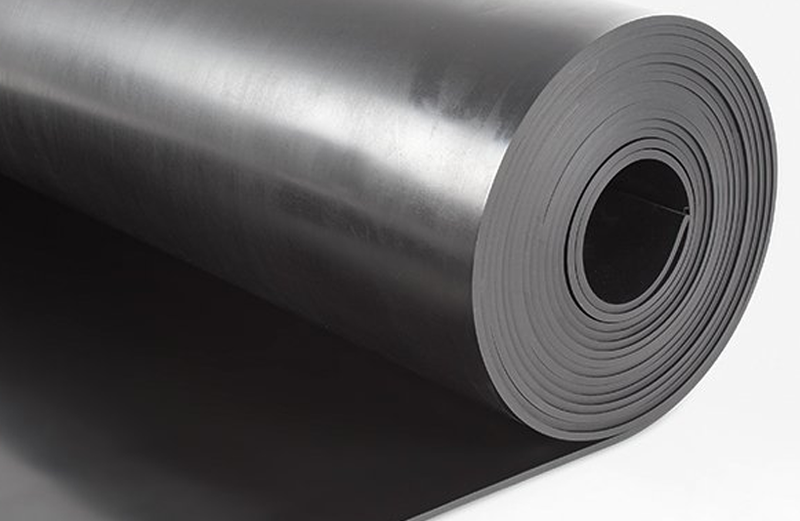 Shotblast Rubber is a natural rubber sheeting with high abrasive resistance, tensile and tear strength. It is highly flexible and is ideal for chute linings, scrapers and shotblast cabinets, available in tan , black and red, temperature range of -20⁰ – 80⁰ C.